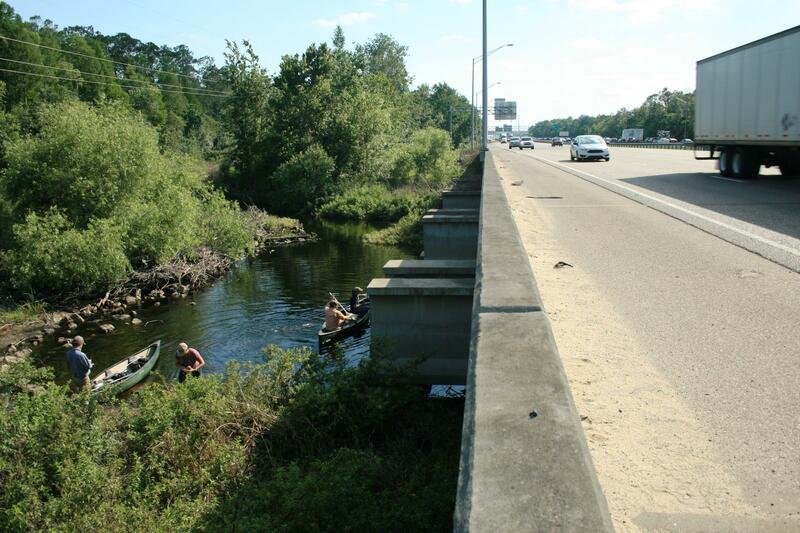 Members of the Florida Wildlife Corridor Expedition paddle along Reedy Creek south of Disney World, under Interstate 4, earlier this year. In April, a trio of conservationists trekked through a narrow corridor of wild land in the shadow of Walt Disney World. Their mission: to bring attention to the need to preserve these corridors for wildlife. On Thursday, they'll preview a documentary of their travels. The three environmentalists with the Florida Wildlife Corridor Expedition took seven days in the spring to trek through Florida's urban midsection, seeing how how animals survived the journey between their native territory and the state's busiest highway, Interstate 4. A preview of the documentary made of the trip, called "The Last Green Thread," will be held for donors and invited guests at the Tampa Bay History Center Thursday night. The expedition's leader is Mallory Lykes Dimmitt of Tampa. "It's a chance to reconnect our team, bring people together and start to really tell the story of what we experienced earlier this year and shape our expeditions to come," Dimmitt said. "I am hopeful that we are able to raise the visibility of this vision for the state of Florida and the need to protect green infrastructure." A panel discussion will follow the preview. Dimmitt says the film will be rolled out to the public online after New Year's Day. 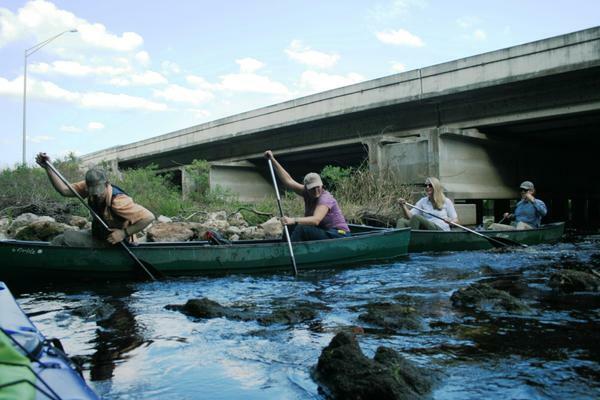 WUSF was a sponsor of the Florida Wildlife Corridor Expedition. You can view our coverage of their trips HERE.